People ask me what it is that I like about Twitter. What do I like about Twitter and what do I follow on Twitter? 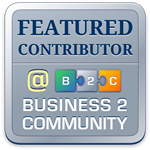 I use it as a communication platform to get the word out about this blog site and my company blog site. What value does Twitter provide? The real return is seeing higher numbers in the areas of new accounts each day, incoming calls, number of online inquiries. My goal is to take the conversation off Twitter to our site. Tip #1 – My tool of choice is Tweetdeck – Google Chrome Application – Can see multi-column display and it is not resource intensive. Also, any change in my view automatically is refreshed on any device I use to access it. How are you growing on Twitter? If you are asking me about follower counts, I really don’t care about those numbers. I want quality, consistent followers who actually read my posts. I post 5-10 tweets a day maximum. Really getting annoyed by people who schedule tweets out every hour. Do humans really operate this way? Is it so important to be online every hour? Maybe if your clientele is world-wide. I follow up to 1000 and periodically cut back to 500. People who follow over 10,000 – Do they really create quality relationships with this many people? Tip #2 – Use Twitter Lists to help you search from a #hashtag standpoint and help categorize the people you want to follow the most. Tip#3 – Know the rules on Retweeting – This information was really vital in my ability to engage at a higher level and make sure people actually saw my retweets. Let me know if there are some other tips or uses I did not mention. I think posting information on how we execute using Twitter can be very helpful to others.